Am I the only one slightly confused and slightly annoyed by the new KFC commercials? Well, evidently not. Even the brand CEO revealed that 1 in 5 people don’t like the new ad campaign. He’s OK with that statistic, and more power to him for sticking with it, but it’s a swing and a miss. Because 1) Everyone exaggerates, so that 1 out of 5 is probably more like 2 or 3 out of 5. And let’s say it is 1 of 5, that’s 20%. Pretty hefty lot of folks, don’t you agree? And 2) They’re making the Colonel out to be a clueless senior citizen that would definitely be the one you get stuck behind on a 2 lane road, driving 20 in a 35 mph zone. And 3) If all a viewer comes away with after seeing the ad on TV is the question, “Why?” …that’s a failed marketing campaign, which is how history will remember this one. In the day and age we find ourselves– more people having genuine concerns about what’s in their food, eating healthy, and being exposed to some of the gross practices of the fast-food world– let’s come up with campaign that addresses those concerns. Show the viewers a glimpse into the soul of the company. Why did Colonel Sanders create KFC? What should I, as a human that eats food, love about eating there? There’s so much talk about GMOs, growth hormones, and the link between diet and behavior, what is KFC doing to calm people’s fears? 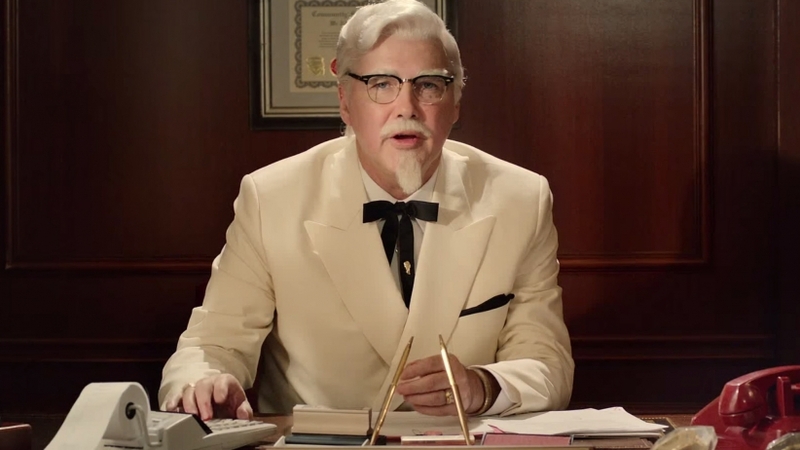 If I could tell KFC one thing, it would be this: use humor as a compliment your product, not a distraction from it. 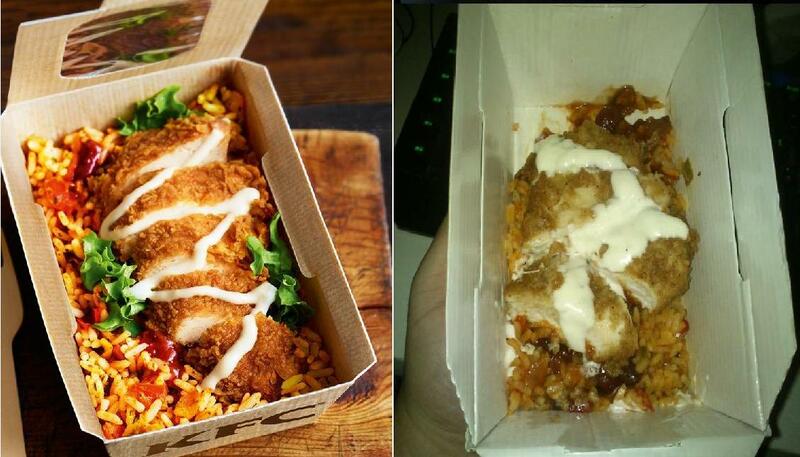 That is, unless all your meals look like this one posted on Reddit… Yummy! This entry was posted in Society and tagged Colonel Sanders, Darrell Hammond, Kentucky Fried Chicken, KFC, Norm Macdonald, Reddit by Ben Wilder. Bookmark the permalink.